The latest novel from the bestselling and prize-winning author of 'The Shipping News' and 'Brokeback Mountain'. In the late seventeenth century two illiterate woodsmen, Rene Sel and Charles Duquet, make their way from Northern France to New France to seek a living. Bound to a feudal lord, a “seigneur," for three years in exchange for land, they suffer extraordinary hardship, always in awe of the forest they are charged with clearing, sometimes brimming with dreams of its commercial potential. Rene marries an Indian healer, and they have children, mixing the blood of two cultures. Duquet travels the globe and back, starting a logging company that will prosper for generations. Proulx tells the stories of the children, grandchildren, and descendants of these two lineages, the Sels and the Duquets, as well as the descendants of their allies and foes, as they travel back to Europe, to China, to New England, always in quest of a livelihood or a fortune, or fleeing stunningly brutal conditions-accidents, pestilence, Indian attacks, the revenge of rivals. In this feat of astonishing imagination, Proulx's inimitable genius is her creation of characters who are so vivid-in their greed, lust, vengefulness, sorrow, compassion and hope-that we follow them with fierce attention. 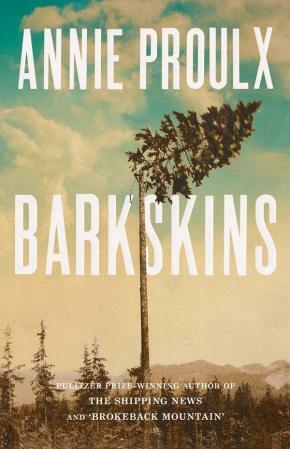 Annie Proulx is one of the most formidable writers of our time, and Barkskins is the story she has been writing all her life, a magnificent American novel.